Mike founded M.M.I. Music and Necromancer Digital in 1994 to fill a void in affordable music production and compact disc mastering in New Orleans. On the mastering side, Necromancer Digital is the professional solution for independently released music. An eclectic selection of Mike’s mastering work can be heard on records by Jean Knight, Kim Fowley, Beth Patterson, The Continental Drifters, Rebecca Barry, Country Fried, Mulebone, Woodenhead, Joybuzzer, Danny and Patrick O’Flaherty, Hart McNee, Tim Smooth, the Gullah Kinfolk, The Lollies, Potent Bathers, Ya Ya Soul, etc. etc. He has worked on many titles for Louisiana Red Hot Records, Sound of New Orleans, Frenchman Street Records, Bank On It Records and Koch Records. Diana is an award-winning creative and original graphic designer/digital artist with over 20 years experience and special qualifications because she is a singer/songwriter who has produced her own albums and has worked in the film industry. 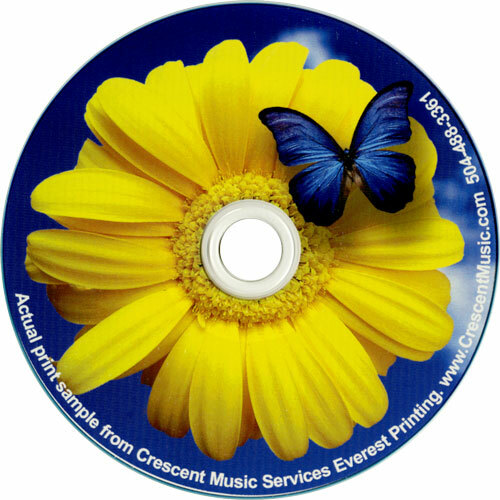 She also owns Crescent Music Services which provides CD/DVD manufacturing services. Her clients include Ellis Marsalis, Louisiana Philharmonic Orchestra, Charmaine Neville, and Basin Street Records (Kermit Ruffins, Los Hombres Calientes, Jon Cleary, Theresa Andersson, Irvin Mayfield. In addition, she designs collector’s books about the Beatles for nationally acclaimed author and Beatles historian Bruce Spizer www.beatle.net.